This story was originally printed at development.uh.edu. For more information about Phi Slama Jama and UH’s basketball tradition, visit uhcougars.com. Growing up in Nigeria, Hakeem Olajuwon saw his first athletic success on the soccer field, using his fancy footwork to fend off points as a goalie. 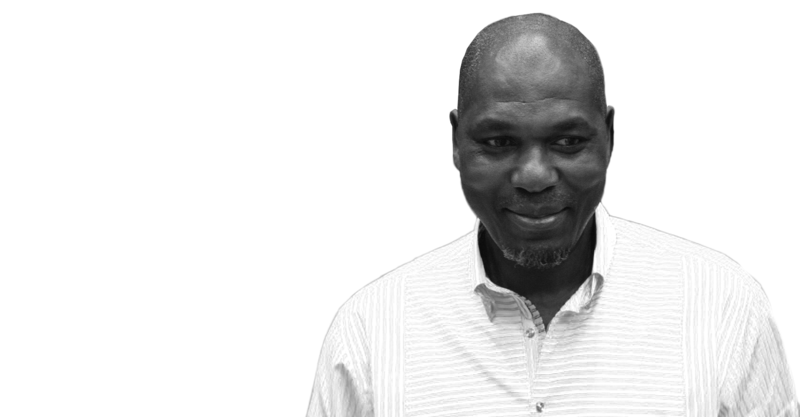 But after picking up that first basketball in high school, Olajuwon found his true passion — one that would lead him first to a stellar career at the University of Houston, and eventually to the Basketball Hall of Fame. The path to basketball greatness began at a title game during an international tournament held in Angola. The head coach for the opposing team was so impressed with Olajuwon, he encouraged him to play in the U.S.
“I responded to him that I didn’t know anybody in America,” he said. That same coach helped connect Olajuwon with Guy Lewis, then the head basketball coach for UH, who agreed to bring him to America for a tryout. Instantly, Olajuwon felt at home in Houston, he said. Olajuwon lived in Moody Towers when it was brand new. For Olajuwon, the only worries were school and basketball. Because of values instilled in him by his parents, higher education was very important to Olajuwon. “In Nigeria, education has been perceived as the gateway to success,” he said. But despite the comfortable surroundings, Olajuwon’s first year on campus wasn’t without some difficulty. He was red-shirted his first year, and only played sporadically. But after asking coaches how to earn more time in the game, Olajuwon began working out with NBA star Moses Malone, who then played for the Houston Rockets. Under Malone’s tutelage, Olajuwon developed the skills that would earn him the nickname “the Dream” in later years. By the 1982-83 season, Olajuwon was an integral member of “Phi Slama Jama,” the so-called “college dunking fraternity” made up of Olajuwon and other players, including Clyde Drexler and Michael Young. “That was a wonderful experience to have a bunch of guys with that level of talent at the same time,” Olajuwon said. From practice to post-season play, Olajuwon said the UH Cougars felt almost destined to win. The unifying force for the team was Guy Lewis, the head coach whom Olajuwon described as a mentor. With Lewis’ leadership, the UH Men’s Basketball Team made it to three Final Fours and two national championship games. In 1983, though his team lost the title, Olajuwon was named the NCAA Tournament Player of the Year. In 1984, he was the overall first pick by the Houston Rockets in the 1984 NBA draft. Within his first year with the Rockets, the team went from a 29-53 record to a 48-34 record. Throughout his 18 year NBA career, Olajuwon continued to earn recognition, from being named the NBA’s all-time leader with 3,459 career blocked shots to being named NBA Most Valuable Player in 1993-94 to being selected as one of the 50 greatest players in NBA history. During the 1993-94 season, he led the Houston Rockets to their first national championship, following that up with a second national title the next year. The 1994-95 season was particularly special for Olajuwon, because he was reunited with his old college friend, Clyde Drexler, in Houston. The two had talked for years about wanting to play together again, and finally winning a national title. When Drexler was traded to Houston, the two decided nothing would stop them. After retiring from the NBA in 2002, Olajuwon was inducted into the Basketball Hall of Fame in 2008. He continues to have an impact on the sport today by holding workshops and giving back to younger players. Olajuwon has worked with several NBA stars, including Yao Ming and Kobe Bryant, teaching them his signature moves. Reflecting back on his career, Olajuwon said he is thrilled at the opportunities he found at the University of Houston, and couldn’t imagine having gone anywhere else.